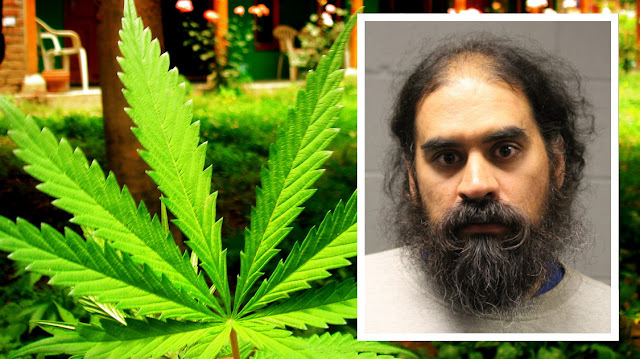 An undercover FBI agent working near the Lollapalooza festival grounds relied on “years of law enforcement experience and narcotics training” to determine that a man who was carrying a sign that said “JOINTS $$” was attempting to sell cannabis to concertgoers, police said. The agent—identified in court records only their last name—proceeded to “[conduct] surveillance in a covert capacity” during which they allegedly saw the man with the “JOINTS $$” sign engage in five separate pot sales in the 800 block of South Columbus Drive. A Chicago cop was then sent in to make the arrest around 9:30 p.m. on Friday. 38-year-old Edgar Perez resisted when the detective identified himself, announcing “I’m not going to jail," prosecutors said. Perez swung at the officer and knocked the cop’s glasses off of his face, forcing the officer to fight back until backup arrived. The FBI employee apparently used their “years of law enforcement experience” to not get involved. Perez, of the Southwest Side's West Elsdon neighborhood, was found to be in possession of 15 grams of pot and $1,321 cash at the time of his arrest, prosecutors say. He’s charged with misdemeanor resisting police and one felony count of manufacture-delivery of cannabis.